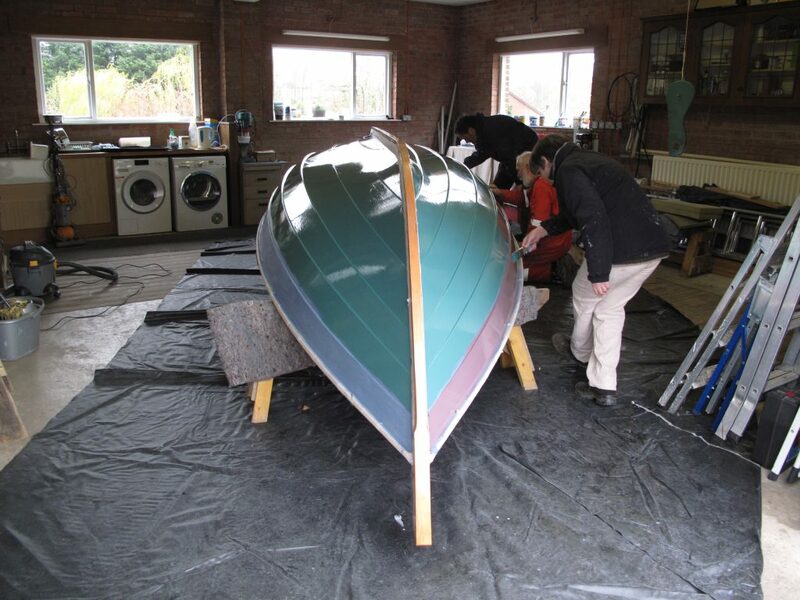 With the first coat of undercoat now applied Enflaeda is beginning to look really smart and we are beginning to get a much better feel for how she will look when the work is complete. 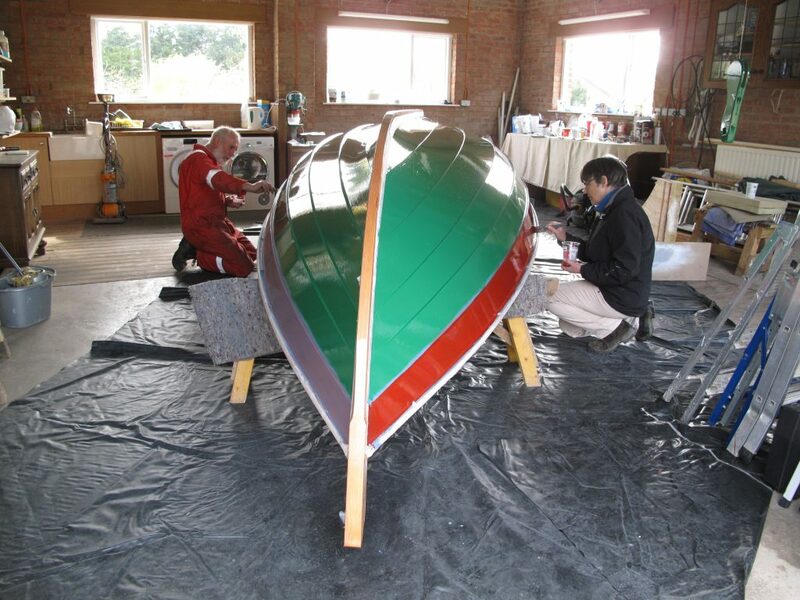 The very first coat of varnish goes onto Enflaeda, well the gunwale, stem and stern anyway! By November the boat looked almost complete but looks can be deceiving! 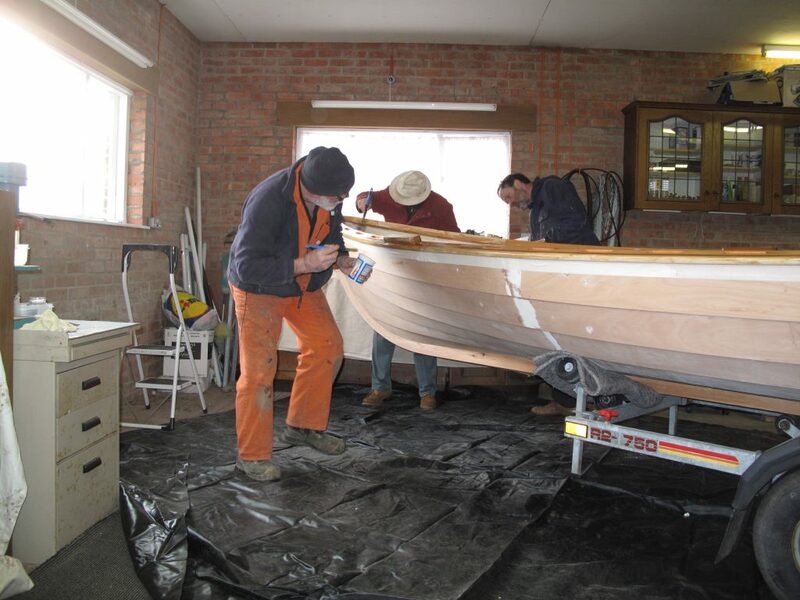 What followed was 5 months of careful sanding to ensure the boat was ready for the next stage. This was held up in part by the weather and the inconvenience of the generator stopping working. 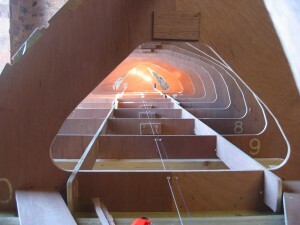 During this time the cox seat, cross beams, footrest supports and rudder have also be made. We are now at the halfway stage and have passed two key milestones. 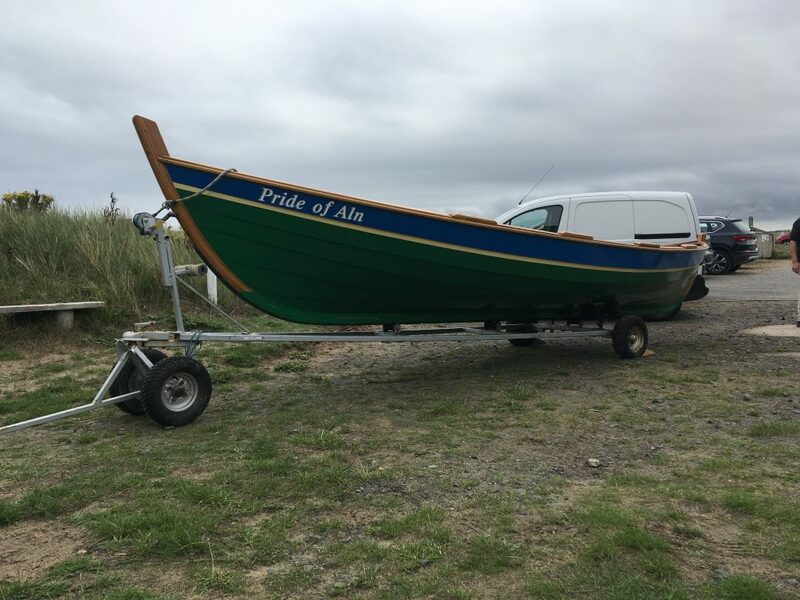 Firstly, the highly symbolic inclusion of a lucky coin within the keel of the boat (a newly minted 10p coin bearing the image of the Angel of the North with the letter A to symbolise our link to Alnmouth). This tradition is said to date back to Roman times and the purpose of the coin was to make sure that in the event of tragedy there was at least money on board to pay the ferryman over the river Styx. 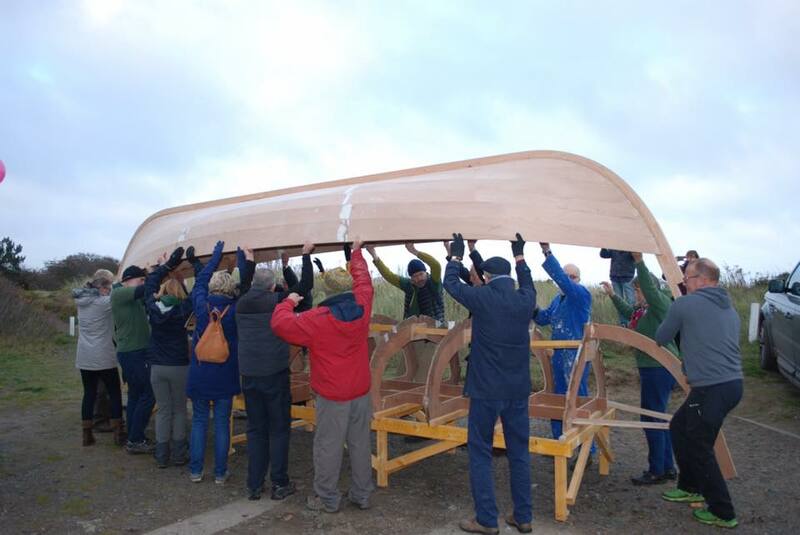 Secondly the boat turnover – so now the boat is the right way up. Doesn’t she look great! 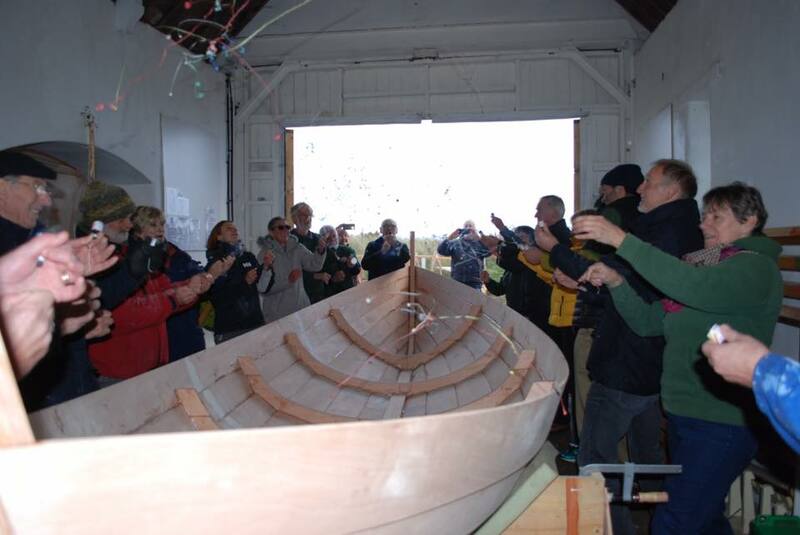 This was a celebratory event enjoyed by members of our build and support teams as well as other local boat clubs and Alnmouth residents. The celebrations included party poppers, balloons, mince pies, cake and prosecco. 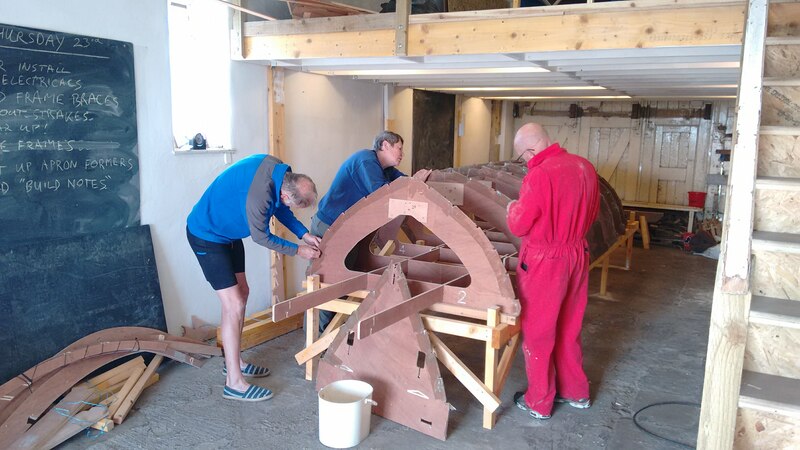 The build is progressing really well with many members continuing to show their support and getting stuck in. 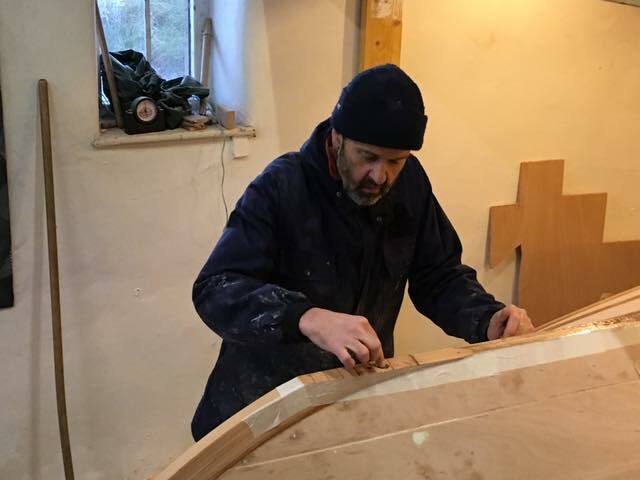 The start of the build involved a couple of tutorials led by Dave Foote to ensure that everything was being done correctly and more importantly safely. 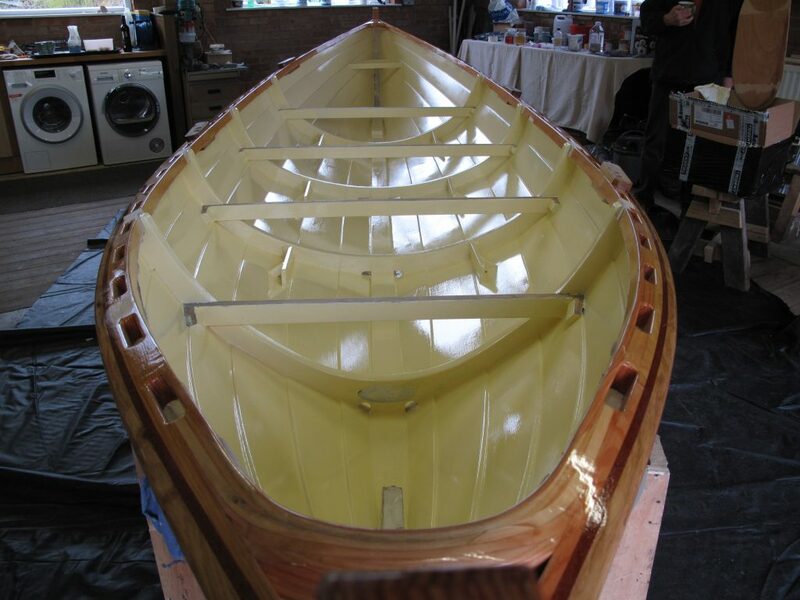 The first of these was how to work with the Epoxy resin glue and covered the areas of mixing, application, masking, filler, clamping and clean up. The tutorial was put into practice in the following session when the gluing of the frame sections commenced. 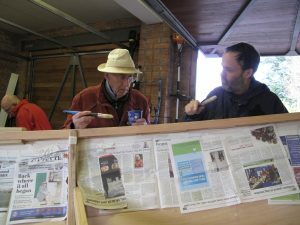 The second tutorial was on tool sharpening. 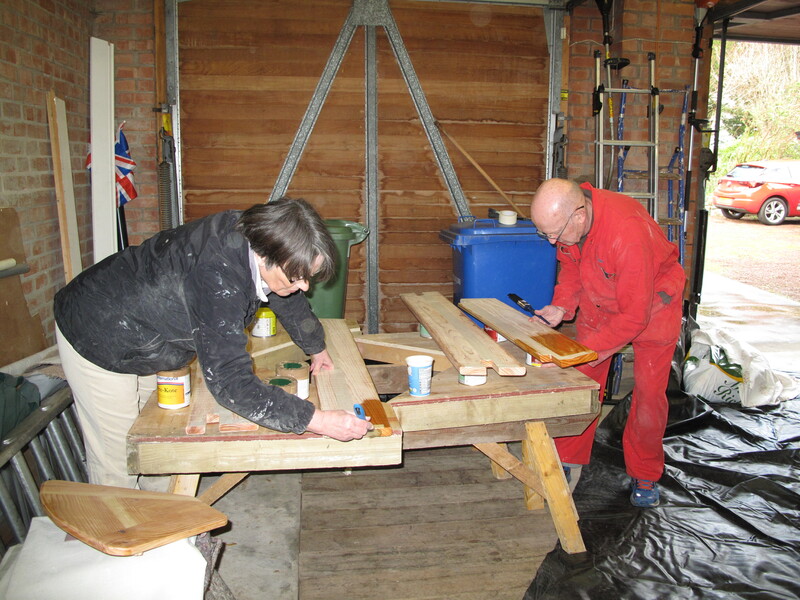 This ensured the tools used on the build were in good condition to perform the jobs they were required for. 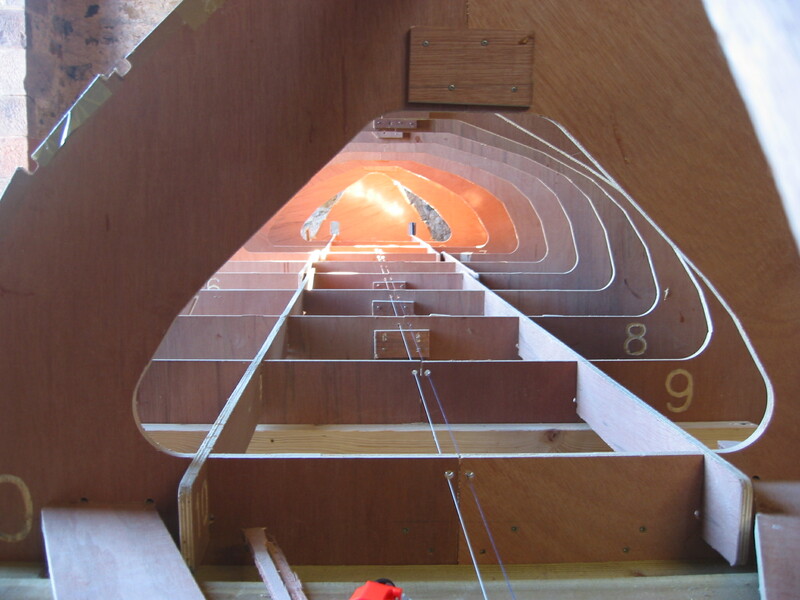 The work has not always been straightforward. 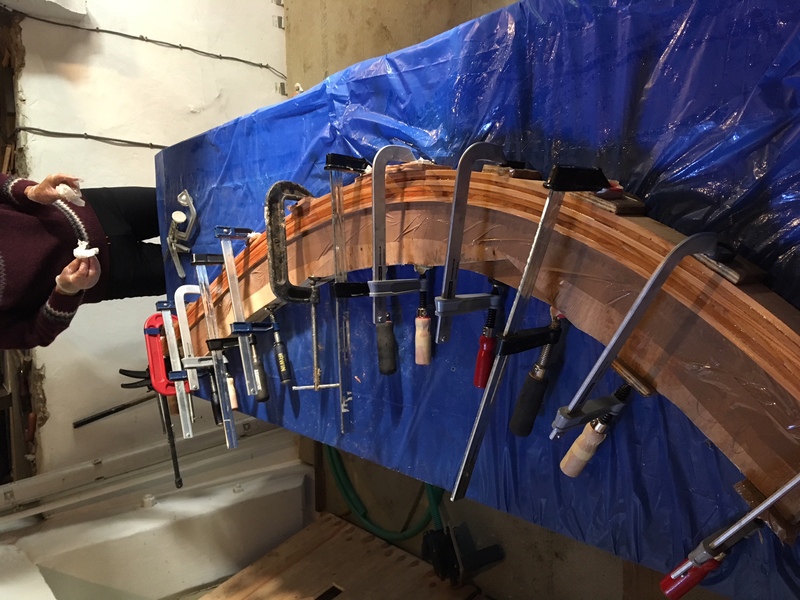 When the hog was first produced it wasn’t straight but with a re glue this problem was solved. Copious cups of tea and coffee have been drunk and there is no problem that cannot be tacked after a lovely piece of cake!! 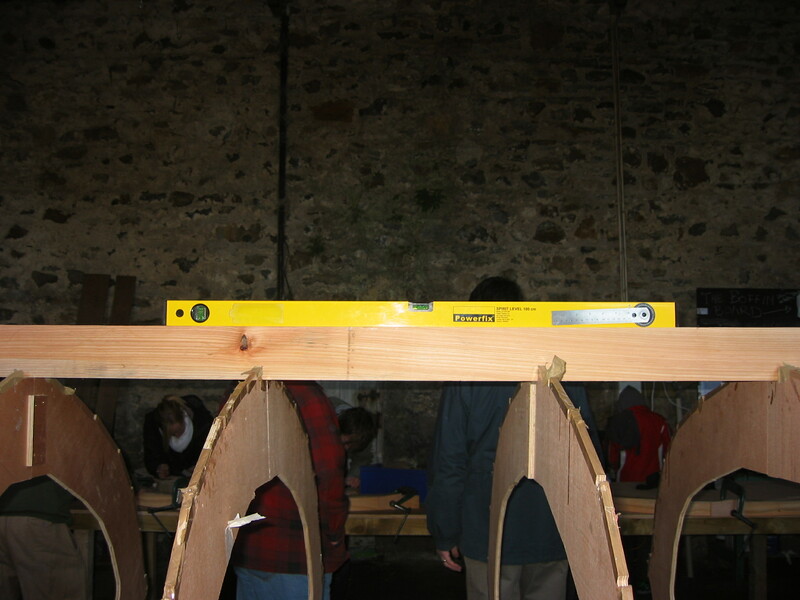 The next stage gets the second build area underway with the rudder and oars getting underway on the mezzanine level while work on the main part of the boat continues on the lower level and with a social event organised for the end of the month to get the whole Alnmouth Community Rowing fraternity together to celebrate progress so far. 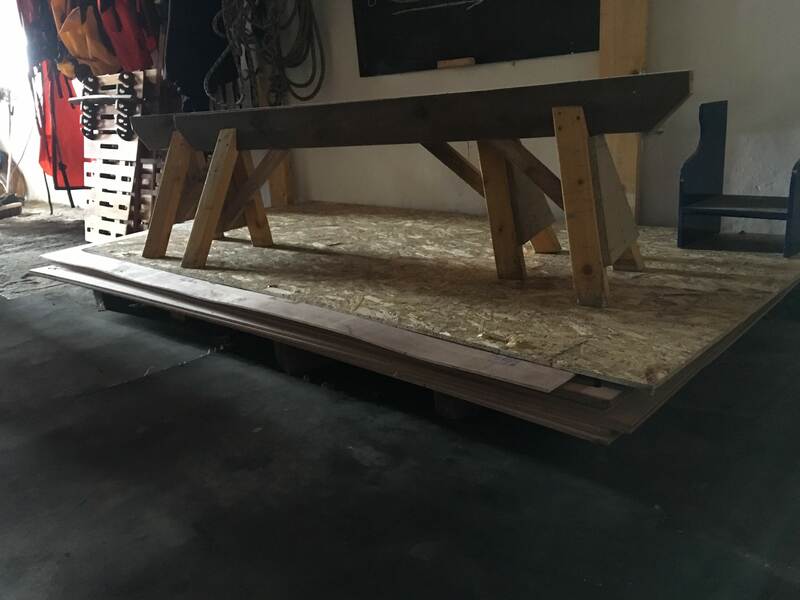 We recently made the decision that we would build a boat!! 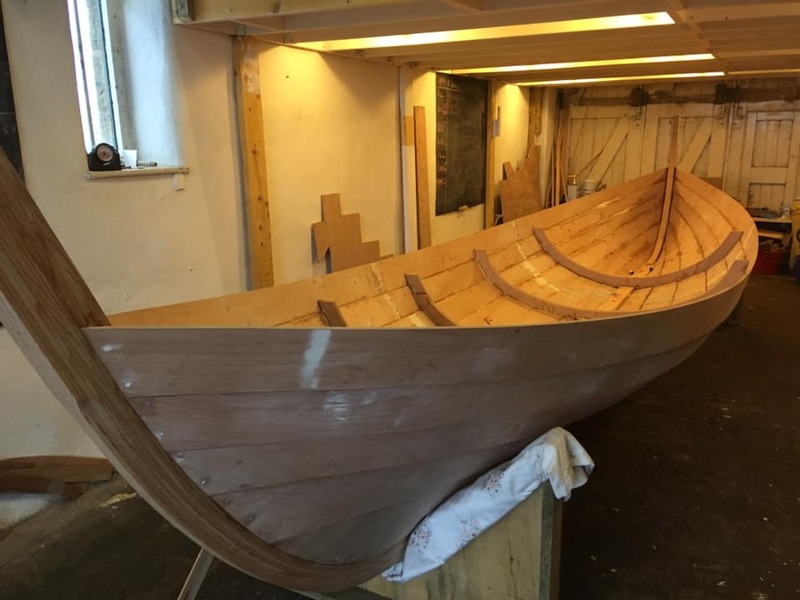 Part of the ethos of Alnmouth Community Rowing Club is to give its members the chance to learn new skills and building a boat falls into that category. We could have bought one fully ready but what is the fun I that? We already have one boat, the “Pride of Aln”, but with membership doubling this year the demands on one boat were just too great. 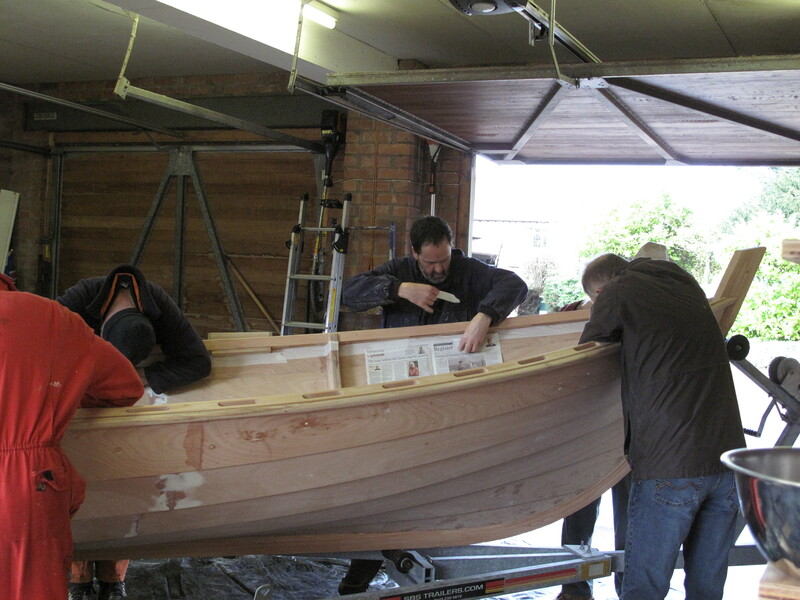 Having a second will allow for more rowing. 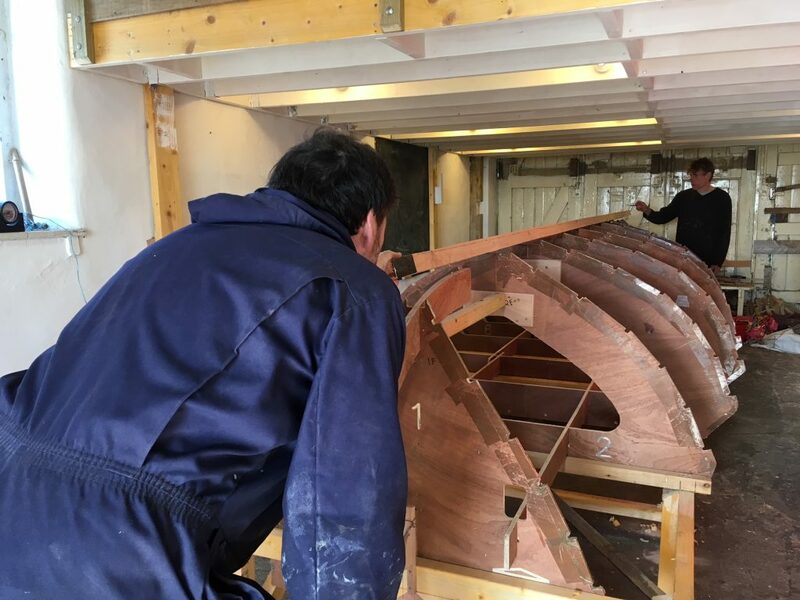 I’m certain there will also be a friendly rivalry between crews when both boats are out together, adding another dimension to the club. 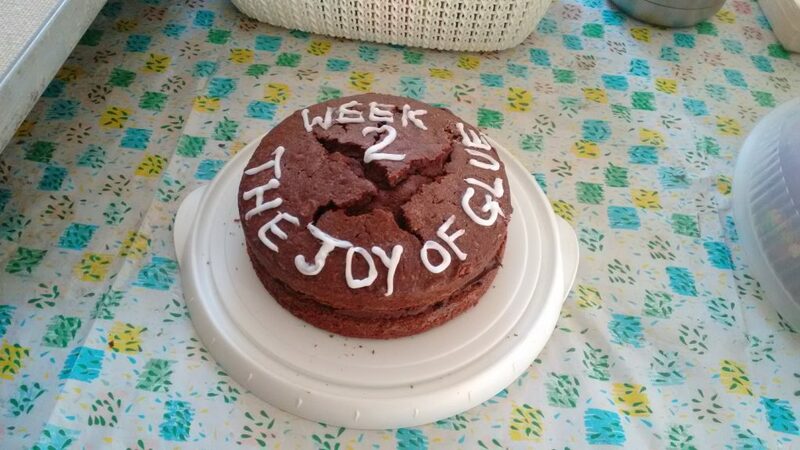 So, Monday 20th August was day 1. 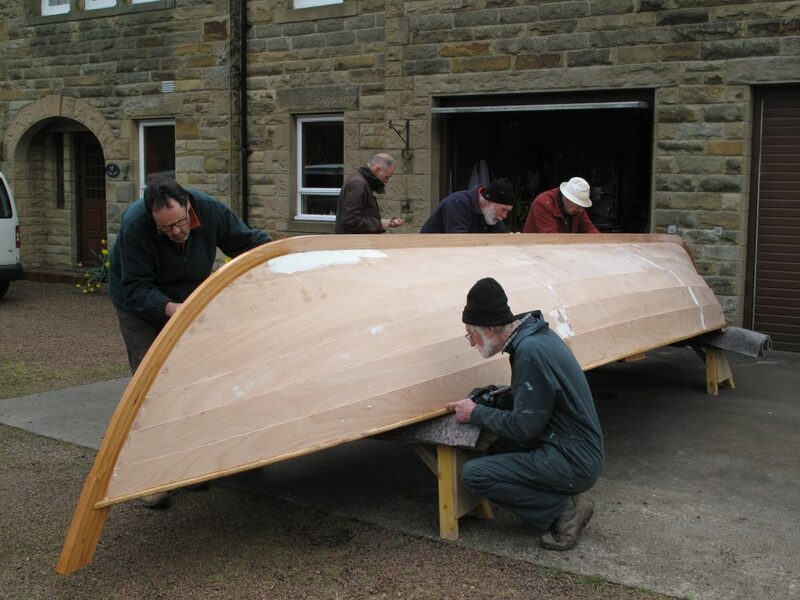 The aim is that by the end of March the boat will be completed, named and ready to set sail (if that is the correct terminology for a boat with oars and not a sail in sight). 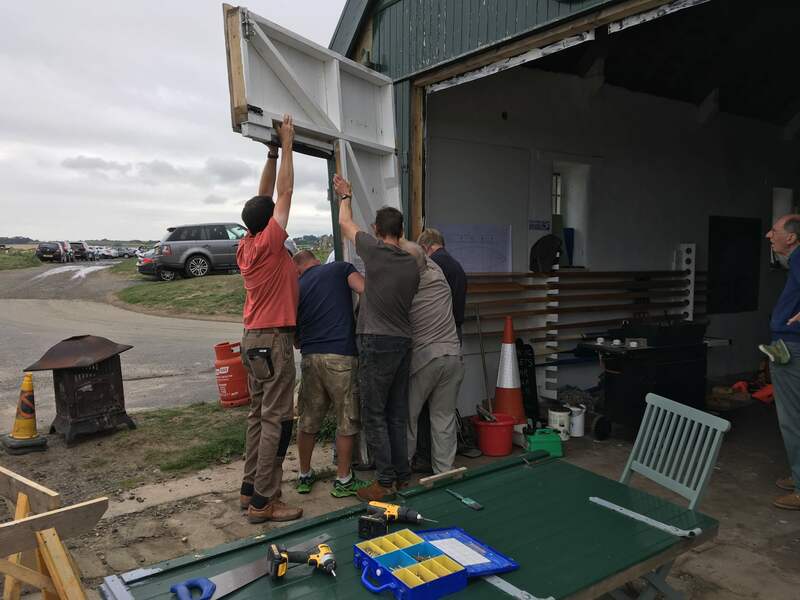 There was a great turnout to get things off the ground but before building could begin the boathouse needed clearing out and the doors needed rehanging to enable the larger doors to open. This will allow 2 boats to be stored in the Old Lifeboat Station and manoeuvred in and out. 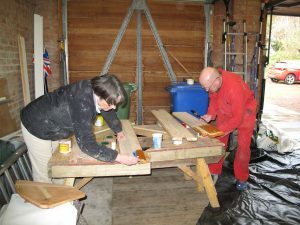 The underside of the mezzanine needed painting and electrics needed to be sorted to allow for lighting in the working area at the back of the boathouse. With that done work on the boat can commence. 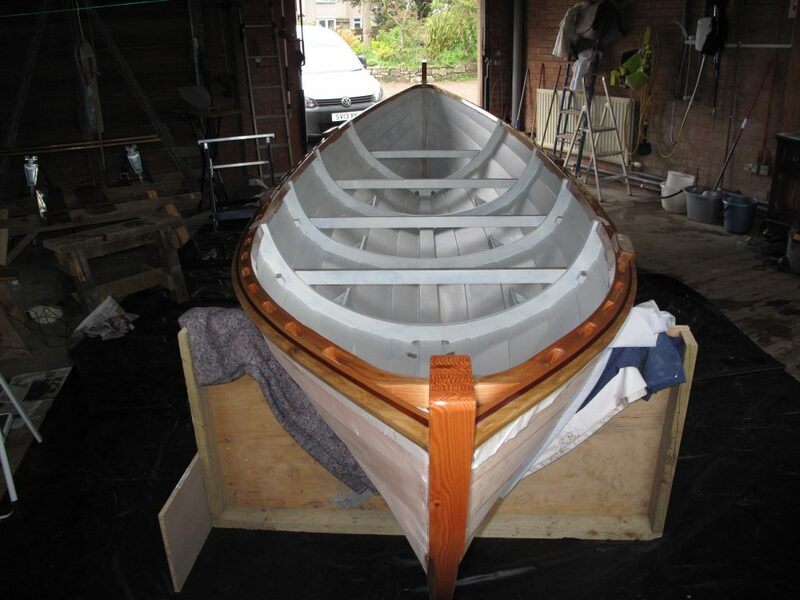 So, what do you buy to start building a boat? You effectively get an airfix kit!! 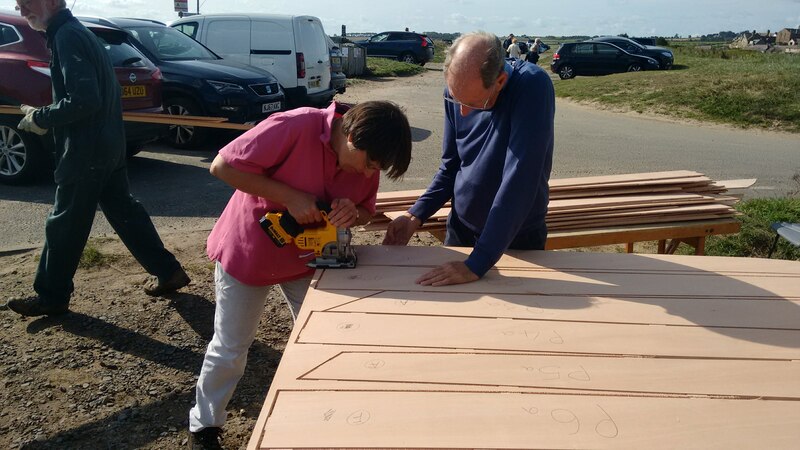 Lots of sheets of pre-cut plywood which need to be assembled into something 3D using a frame, epoxy glue and lots of willing hands. 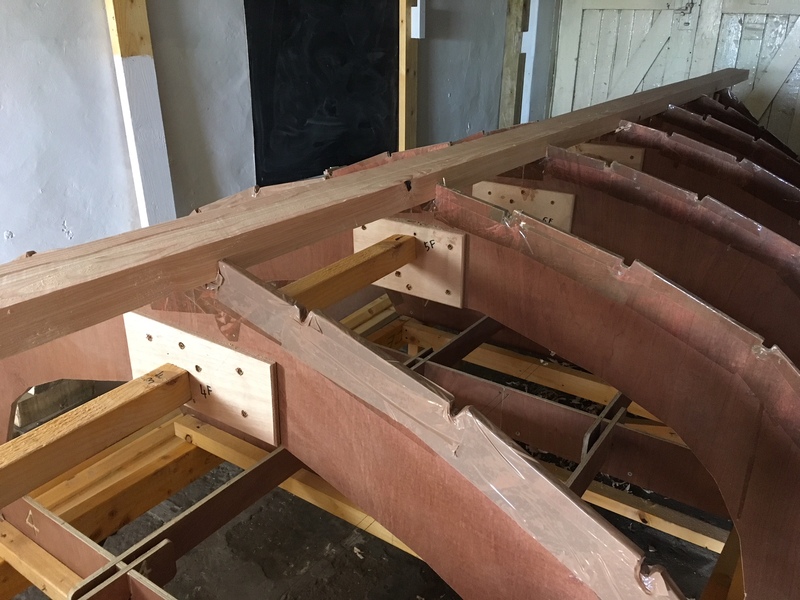 Over the next few months you will be able to see our progress and how we can go from this (the sheets under the bench) ….. The finished article. I’m sure there will be plenty of adventures along the way. I’m sure not everything will go entirely to plan but I’m sure with the great group of people who are working on it the journey will be amazing and the finished article something everyone will be proud to have been part of. 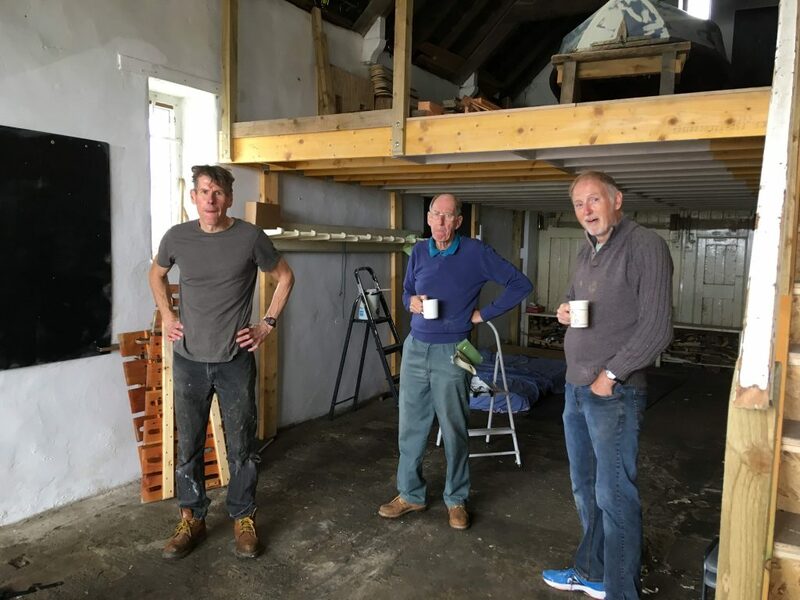 There was even time for a quick cuppa! !